The program serves to educate and inspire tomorrow's marketers. 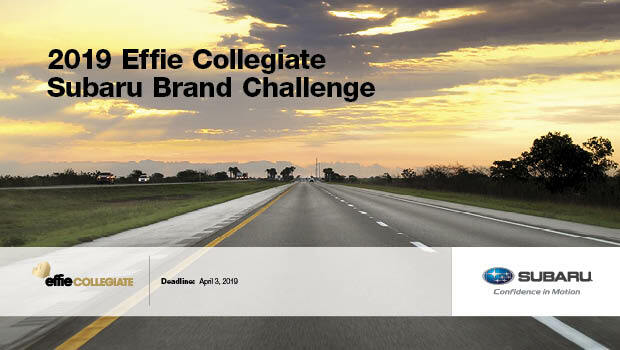 Effie United States and Subaru America, Inc. have recently announced their partnership on the 2019 Effie Collegiate Brand Challenge [view press release]. For the 2019 Subaru Brand Challenge, students must develop a non-traditional, integrated, multi-channel marketing campaign that reinvents the experience of buying a new car to meet the expectations and lifestyles of the Millennial/Gen Z audience. Be sure to subscribe to our email list to receive the latest competition updates. 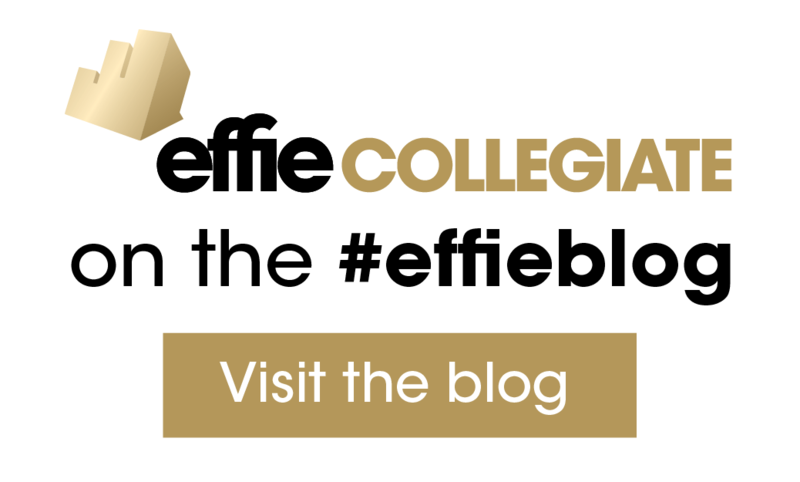 If you encounter issues with the "request client brief" link, please email collegiate@effie.org. 2. Download & review the 2019 entry materials. 3. Complete the registration of intent: Professors | Students. 4. Submit your entry into the online portal. Entry Companion Guide: Helpful tips from past Effie Collegiate judges for each of the four scoring sections. 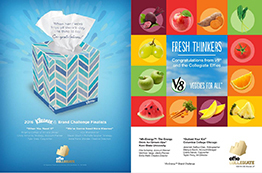 Case Study Samples: Recent Effie Award-winning case studies. 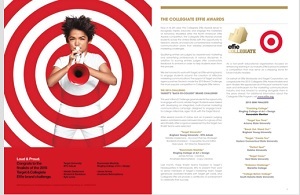 Effie Collegiate on Youtube: Creative reels from past winners & runners-up.